You love using lemon juice in salads or other dishes but find it hard to squeeze the fruit? This practical juice sprayer will help you get the juice and spray it onto any dish you would like or maybe into the water you may want to drink. The set includes one for bigger fruits like lemons, oranges or grapefruits. The other one is for smaller fruits such as limes or tangerines. The juice sprayer is very easy to use because it’s got a screw-like design which can be inserted and secured inside the fruit. The juice will then fills the filter through the holes in the sprayer. 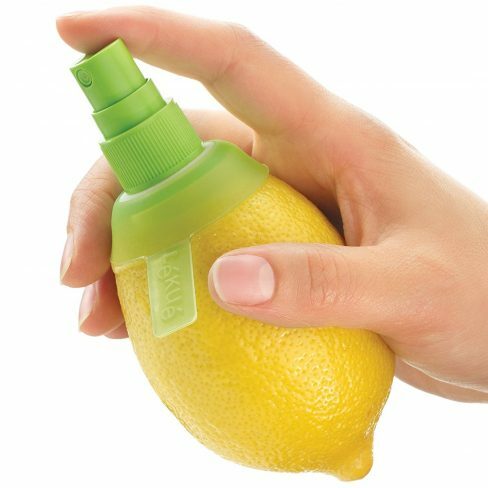 The juice sprayer will help you add flavor to marinades, cooked meat or anywhere you wish to add some lemon or lime flavor. It comes directly from the fruit so you can use it in all your recipes. It will also help you add aroma to your soft drinks or cocktails without an effort. 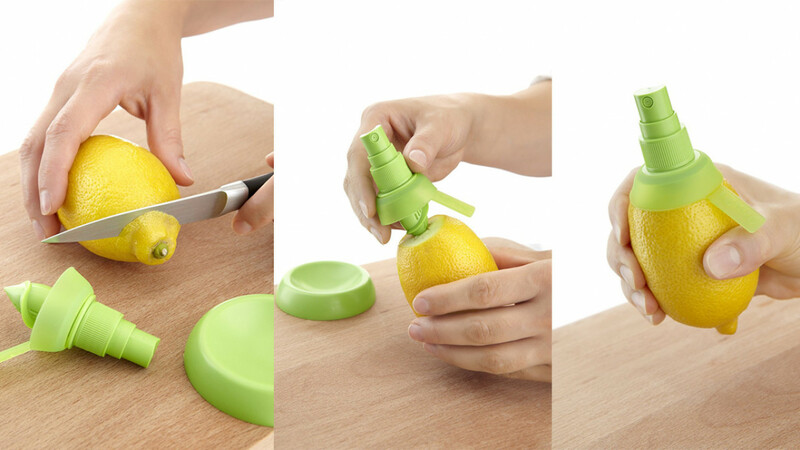 With this juice sprayer, you can get even the last drop of juice out of your lemons and limes without having to spend the effort of squeezing them. This item is very comfortable and it prevents you from making a mess in the kitchen. The silicone ring will prevent the juice from coming out. The item also allows the fruit to stand when not using it. The juice sprayer is also dishwasher safe. It is made of ABS plastic and silicone. It can withstand up to 158 Fahrenheit and 425 Fahrenheit temperatures respectively. The juice sprayer is detachable. You can take it apart entirely for easy and thorough cleaning.